Summary: Each night at precisely 4:33 am, while sixteen-year-old London Lane is asleep, her memory of that day is erased. In the morning, all she can "remember" are events from her future. London is used to relying on reminder notes and a trusted friend to get through the day, but things get complicated when a new boy at school enters the picture. Luke Henry is not someone you'd easily forget, yet try as she might, London can't find him in her memories of things to come. Thoughts:I have been struggling to write this review for weeks now. How do I piece together a book that not only confused me, but also intrigued me with it's unconventional concept? Well, I guess I better give this a whirl! Forgotten is a story about London, a girl who remembers the future instead of the past. Each night, she must make a list of the day's events, what she'll need to bring for school, and what she needs to remember because when morning comes, it will be like the day never happened. If anything, her condition is a curse. While it's fun to know where all her classmates and friends will end up in the future, she can't share it with anyone. In fact, her best friend Jamie tells her on several occasions not to share. On top of all this, London begins having disturbing dreams of a funeral. The catch is, she doesn't know who's funeral it is. That's where the mystery factor comes in. For the first 100 pages or so, I spent most of my time confused. While I had an idea of what was going on and know why the author was writing the way she was, the style still confused me. That's probably the point since London spends most of her time confused. 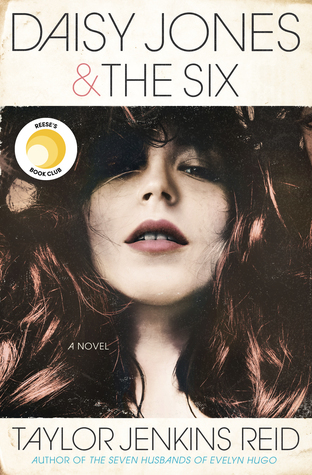 While it added flare to the story, I think it also took away the emotional connection factor, since instead of book bonding with the main character, I spent most of my time wondering what the french was going on. Sa la vie! When I was about to give up on the book, a dear friend told me to stick with it. "It will get better" she said. And she's right, it does. I honestly think that what made the book for me was Luke. The Luke scenes were my favorite scenes. His kindness and overall goodhearted nature is a breath of fresh air considering the book world is filled with brooding, standoffish, arrogant love interests. A nice guy? Really? They exist? You bet! I recommend everyone giving Forgotten a try. It may not be my favorite book, but it's still an interesting one. And please, if you are like me, struggling with the first half of the book, I promise you that it does get better. Stick with it and a treat will be in store for you! 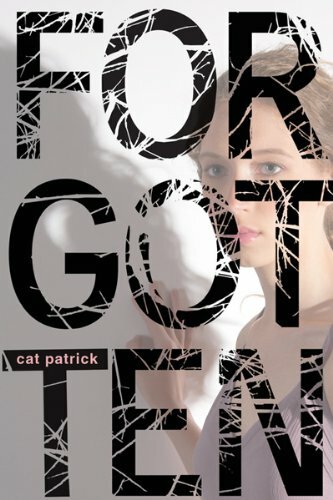 I am giving away a final hardback copy of Forgotten. Just comment below, leaving a way for me to contact you (i.e. email address). This will be open to US participants only. If you are an international participant, but have a US address I can ship to, feel free to enter! +1 for spreading the word. And last but not least, the giveaway will end August 3rd. Go forth, enter, and may the odds be ever in your favor. I still haven't read this book yet! Thanks for your honest review. I am wanting to read this so bad! Its been on my TBR list for a long time! :D Thank you for this awesome giveaway! I'm definitely giving this one a try! I just borrowed it from the library, but I would love to own it. Thanks for the giveaway! This book sounds awesome! Count me in. This one has got to be good! Wow, can't imagine being able to see the future without knowing the past! This is on my TBR book pile. I'm hoping to get it read before my library wants to take it away from me. This is on my to-read list! Thanks! I am dying to read this book! Thank you for the chance to win it!! Awesome giveaway! You can contact me or DM me via twitter @mintmeredith . Thanks so much! I'm very intrigued by this book. I'd love a chance to read it. Thanks for the giveaway! This book looks so good! Thanks so much for the giveaway!! I have been wanting to read this one for a while! I would definitely love to give this a try even if it does confuse you a little. Thanks for the giveaway! sounds like a great read! !thank you! Thanks for the review and the chance to win. It sounds marvellous. Thanks for the review and giveaway! Would love to win so please enter me. I would love to win the giveaway; please enter me! This sounds like an interesting book. And I love the name London Lane! :o) With this awesome giveaway maybe I'll win it! !